Filming is underway on the upcoming untitled young Han Solo A Star Wars Story, slated for a release in May 2018. The film will feature the first major experiment will recasting characters from the Original Trilogy in the Disney era, with Alden Ehrenreich and Donald Glover taking on the roles of Han Solo and Lando Calrissian, respectively. While we have yet to see Glover in costume as Lando, the actor has spoken about what it's like taking on the role in a new interview with Deadline. "This is probably one of my favorite experiences ever. For working under, like, a huge conglomerate, it’s actually been quite an enjoyable, artistic thing. I get to play him in a way that I think is honest and true and cool. And it’s great ’cause I didn’t have to write anything, I’m focused strictly on being this guy. And I really respect him and I respect the actor who played him before. I’ve learned a lot about this character, so it’s actually been really fulfilling and nice to just turn off everything else and focus on just being someone. So it’s been cool." 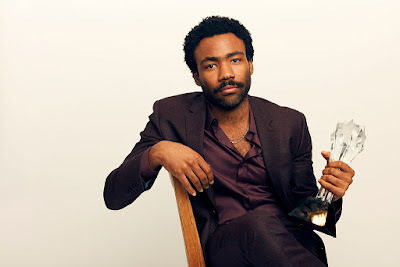 "Lando seems to be a lot of people’s favorite character. It’s cool. It’s a lot of pressure, but it’s also very exciting. He was my favorite character too. I grew up on Star Wars. It’s just cool to see him again. I feel like people like him ’cause he has a lot of style, but also he’s a complicated character in this world. I think even Han isn’t as complicated as Lando is. From the first time you meet him, you don’t know whether to trust him or not, and you’re constantly not knowing whether to trust him. I like that about him."